Darts players from all around the world are going to join the LAST STAGE of DARTSLIVE OPEN 2018 in Hong Kong on December!! 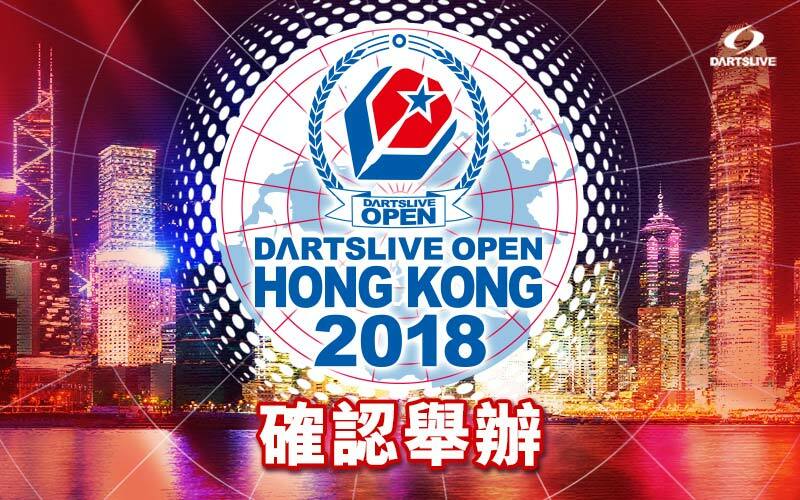 DARTSLIVE OPEN 2018 HONG KONG will be held on 30th November - 2nd December this year, there are SINGLES and DOUBLES events for all levels of darts players for sure! And also together with THE WORLD 2018 GRAND FINAL, SUPER LEAGUE SEASON 15 DIVISION CHAMPIONSHIP/ CHALLENGE CUP and SUPER LEAGUE SEASON 15 Fiesta! Please stay tuned with DARTSLIVE ASIA official website and Facebook page for the updates! Don't miss the chance to get your spots and awards in DARTSLIVE OPEN 2018 HONG KONG!